After releasing their landmark LP Guns Don’t Kill People… Lazers Do in 2009, the heroic production duo of Diplo and Switch found themselves boldly marching forwards conquering major milestones. From 2009 to 2011, the twosome toured extensively across the United States and the world, selling out shows and performing at some of music’s major festivals, including Coachella, Pitchfork, Sasquatch, Outside Lands and Falls Music & Arts Festival. Undoubtedly, one of the foremost breakthroughs for Major Lazer during this time was the production collaboration with Beyonce on her massive hit “Run the World (Girls)”, which sampled their track “Pon de Floor". Beyonce directly sought out Diplo, recognizing the fact that he was creating authentically innovative music and further cementing his status as a producer worthy of worldwide mainstream attention. As the sole executive producer of Major Lazer, Diplo continues to spearhead the current dancehall revival movement with the upcoming release Free The Universe. The recording includes exciting collaborations with Bruno Mars, Tyga, Flux Pavillion, Wynter Gordon, Shaggy, Wyclef, Ezra Koening from Vampire Weekend, Dev and more. Spin called the LP’s first single "Get Free" featuring Amber Coffman of Dirty Projectors, "a meeting point between Jamaica, West Africa, and Brooklyn." The second single from Free The Universe, “Jah No Partial”, dropped on October, 22nd 2012. 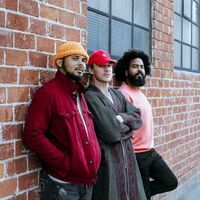 The 3rd single from the new album by Major Lazer is "Watch out for this (Bumaye)" featuring Busy Signal, top star of Dancehall. Diplo (AKA Wesley Pentz) has risen through the ranks and has asserted himself as one of the most pioneering producers of the time. Through unending curiosity and exploration of the vast multitudes of the world’s musical heritages, Diplo has managed to seamlessly connect the global underground to the audio mainstream. He is the Grammy-nominated founder, owner and head honcho of Mad Decent records, which has not only garnered widespread critical and audience accolades since its inception, but has also deservedly earned a hefty reputation as a vanguard of groundbreaking releases. As Major Lazer, he recently retreated to Jamaica to team up with producers Ariel Rechtshaid and Dre Skull on the upcoming Snoop Dogg album Snoop Lion "Reincarnated". Writer: Thomas Wesley Pentz - Philip Meckseper - Ajibade Oluwatosin - Nwosu Kelechi Emmanuel - Tyrone Griffin, Jr. / Composers: Thomas Wesley Pentz - Philip Meckseper - Ajibade Oluwatosin - Nwosu Kelechi Emmanuel - Tyrone Griffin, Jr.